Manchester United haven’t been enjoying the best of campaigns. They sit 8th in the Premier League, having lost to sides like Brighton and West Ham this season. Ed Woodward’s refusal to sign a centre-back in the summer is hurting the club at the moment. Jose Mourinho wanted to bring in Toby Alderweireld or Harry Maguire before the transfer window shut in August. But the United vice-executive wasn’t ready to match their £60 million valuation, stating that the gaffer had plenty of options in the squad. Victor Lindelof has finally found his feet in England, but is yet to have a reliable partner beside him. Smalling and Jones are yet to play a full 90 minutes without making a mistake, whereas Eric Bailly has been banished from the starting XI after his dismal performance against Newcastle. Meanwhile, Marcos Rojo is yet to feature for the Red Devils, despite signing a new lucrative deal in March, which extended his stay until 2021. 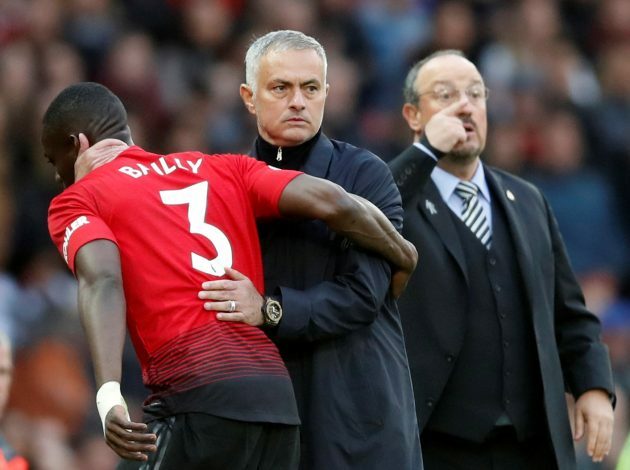 Amid the defensive issues at Old Trafford, the Telegraph have claimed that Jose Mourinho is ready to offload the defensive pair of Bailly and Rojo, in an attempt to fund a transfer for Toby Alderweireld or Inter’s Milan Skriniar. Manchester United have kept only one clean in 12 Premier League fixtures this season, conceding 21 goals in the process. This is a clear indication that the club needs to make some defensive reinforcements in January. The United gaffer is trying his best to convince the club officials of this necessity, and is also ready to get rid of players who are not needed. It is now the Glazers’ turn to help Mourinho turn things around this season, by providing him with financial support in the upcoming transfer window. Alderweireld? Skriniar? Maguire? Who will the Portuguese bring in?